I've working with another of Andrea's quilt tops. I was excited about this quilt because Andrea said she was over it and didn't like it anymore. All I saw was lovely white negative space and I was hopeful I could do something that might make her love this piece of work again. 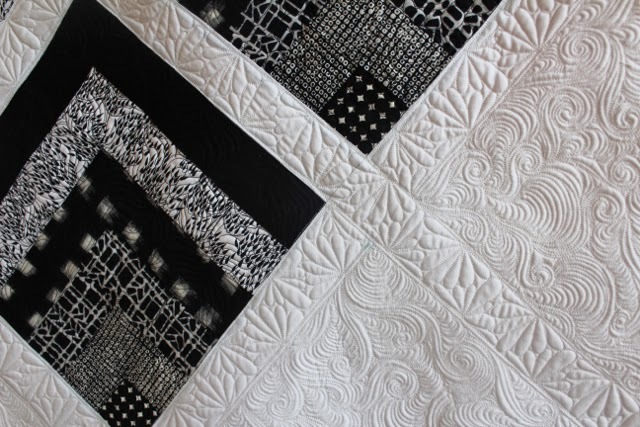 I really enjoyed quilting the white areas. I learnt a lot during the quilting process. Things I should do again and things I should not. The black areas were problematic. I found the black thread more than hard to see on the black fabrics. It was like I was quilting blind. I practiced (sadly a bit blindly) lots of ideas I have wanted to try. Some of them I liked a lot and I will be using again in the future. 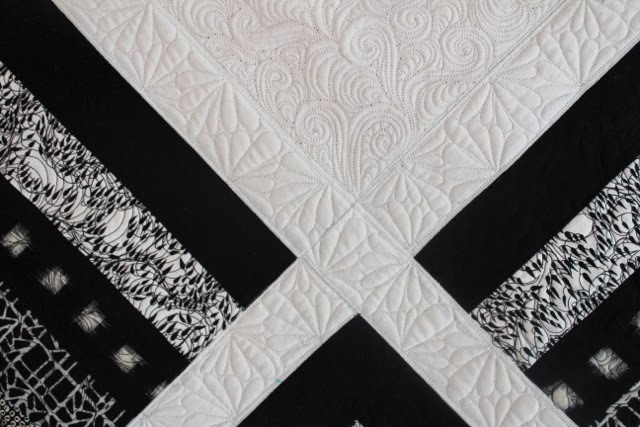 Even after the quilt has been finished I feel like the quilting in these black areas is invisible and lost. I need to find another solution for black areas in future. If you have any insights or ideas I would love to hear from you. A huge thank you to Andrea again for letting me practice and learn on her quilt tops! 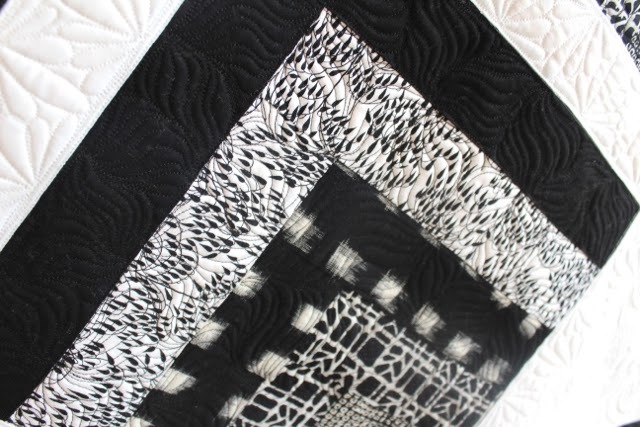 When quilting black on black, try turning off the lights on the machine and lighting from the side. The shadows help show where you've quilted. 3. select a loftier batting so the quilting shows better.